The game is like tag, only you will not manage a single chip, and immediately a set of 4 chips. In this game you can not just remove the pair of figures from the field, but can poduchit English. Here it goes on sweets. In this game you can not just remove the pair of figures from the field, but can poduchit English. Here it comes on the professions. In this game you can not just remove the pair of figures from the field, but can poduchit English. Here it comes on the insects. In this game you can not just remove the pair of figures from the field, but can poduchit English. Here it comes on the forest animals. In this game you can not just remove the pair of figures from the field, but can poduchit English. Here it will be about sports. In this game you can not just remove the pair of figures from the field, but can poduchit English. Here it comes about the time of year. In this game you can not just remove the pair of figures from the field, but can poduchit English. It will cover the legs. If you do not know the states of America, here you can poduchit. Try to paint rectangles as well as you and offers a wizard. Remember the location of the white balls on the field and try to reproduce. You need to hold the ball to the finish using the buttons on the keyboard. Sudoku - a puzzle that has received tremendous popularity recently. Its rule is simple: given a square of 81 cells, which in turn is composed of 9 squares by 9 squares. We need to put in the cells from 1 to 9 so that each row and column of a large square, and within each of the small number of squares will not be repeated. Some cells at the beginning is full, the rest need to fill in yourself, using logic and shrewd calculation. Guess the nominees for the prize and go further down the avenue of stars. 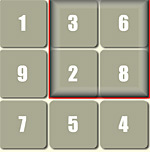 In this game you will be offered a number derived from multiplying. You will need to find a field suitable for this number. 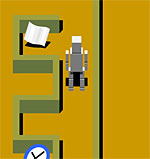 In this game you need to hold the ball on the labyrinth, so that to collect all the stars scattered in it. You find yourself in a maze and must find the keys to the exit and then exit itself. 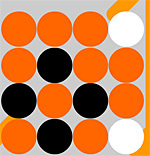 Choose the difficulty of the game and collect in the line of balls the same color. You need to hold the game box to the end square using perekladnye. Try zakidvat chickens so that they are not all the rubble on one side.